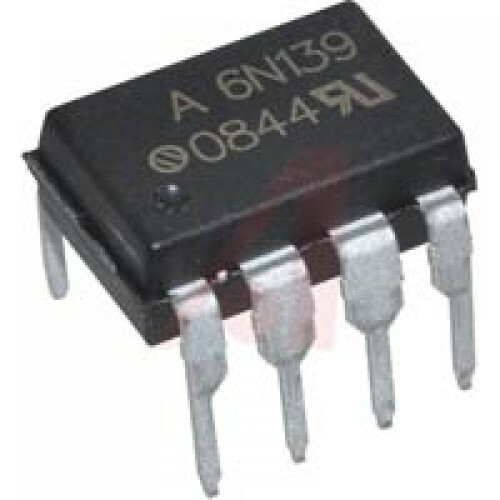 Buy online in India 6N139 High Speed Optocoupler at low price from DNA Technology, Nashik. 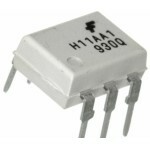 6N139 High Speed Opto-coupler is High common mode transient immunity and very high current ratio together with 5300 VRMS insulation are achieved by coupling and LED with an integrated high gain photo detector in an eight pin dual-in-line package. 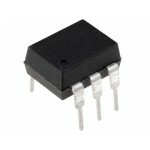 Separate pins for the photo diode and output stage enable TTL compatible saturation voltages with high speed operation. 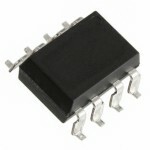 Access to the base terminal allows adjustment to the gain bandwidth. 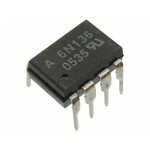 The 6N138 is ideal for TTL applications since the 300 % minimum current transfer ratio with an LED current of 1.6 mA enables operation with one unit load-in and one unit load-out with a 2.2 kO pull-up resistor. 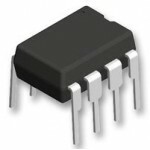 The 6N139 optocoupler is best suited for low power logic applications involving CMOS and low power TTL. 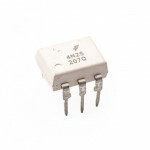 A 400 % current transfer ratio with only 0.5 mA of LED current is guaranteed from 0 °C to 70 °C. 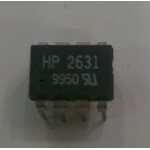 6N137 SMD High Speed Opto-couplerThe 6N137-SMD is single channel 10 MBd opto-coupler utilizing a h..